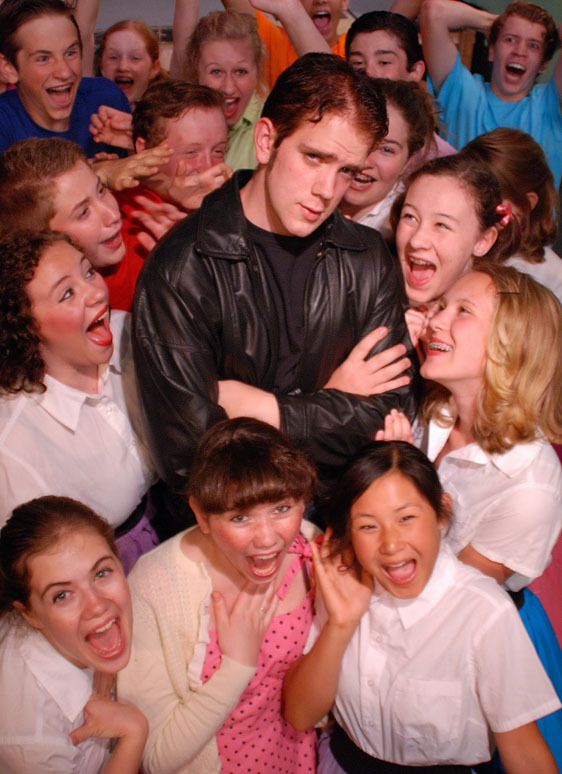 That’s as Conrad Birdie in the Northfield Arts Guild’s Bye Bye Birdie, 7:30 p.m., at the Northfield Arts Guild Theater, on Thursday, July 9th. Also on Thursday, Scream Night, 8 p.m., the Contented Cow, Mark Mraz, 8 to 11 p.m., the Tavern Lounge (riverside of the Archer House), and Detective Ventriloquist, 10:15 p.m., the Contented Cow. Friday, July 10th, Ian Alexy, 7 to 11 p.m., the Tavern Lounge, Bye Bye Birdie, 7:30 p.m., Northfield Arts Guild Theater, Karaoke, 9 p.m., Rueb’N’Stein, and KGB Band at the Contented Cow. Saturday, July 11th, Jon Manners, 7 to 11 p.m., the Tavern Lounge, Bye Bye Birdie, 7:30 p.m., Northfield Arts Guild Theater, Depot Creek and the Schmoejoes Band, 9 p.m., the Rueb’N’Stein, and Allyson Road Band at the Contented Cow. Sunday, July 12th, Bye Bye Birdie, 2 p.m., Northfield Arts Guild Theater, Politics and a Pint, 6 p.m., the Contented Cow, Northern Roots Session, 7:30 p.m., the Contented Cow, and Quiz Night, 8:00 p.m., the Contented Cow. Oh, let’s keep the weekend going one more day….Monday, July 13th, it’s Poker (that’s a cultural event in America), 7 p.m., Froggy Bottoms, and Nordic Jam (that’s a cultural event in Northfield), 7:30 p.m., the Contented Cow.